Jeff has over 25 years of experience in digital information & healthcare, including starting & running several successful internet businesses. 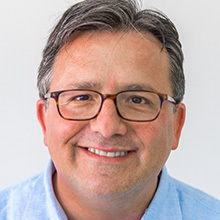 As Chief Revenue Officer, Jeff runs sales, marketing & business development for Tyto Care, launching Tyto to health systems, employers, telehealth partners & patients. Jeff brings experience across the full healthcare ecosystem including over 6 years at Vitals where he helped build & lead one of the top patient engagement & transparency platforms. Prior to Vitals, Jeff launched & led Answers.com & Office.com. In addition, Jeff has been a senior executive with SIIA, Inlumen/NewsAlert, Winstar (Office.com), N2K / Telebase, Thomson Financial & CompuServe.